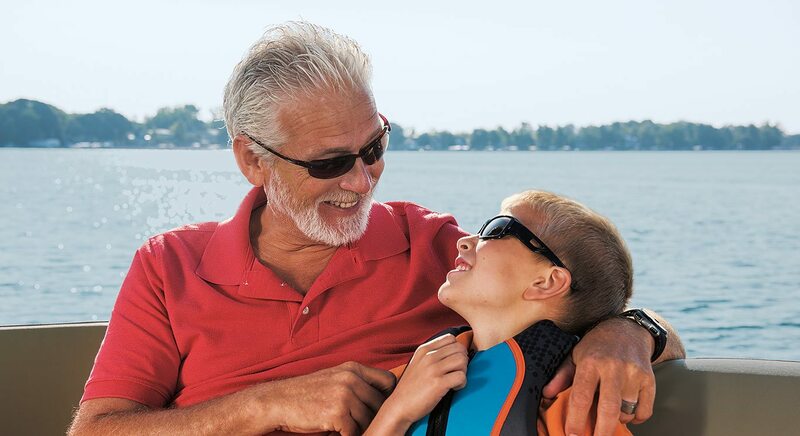 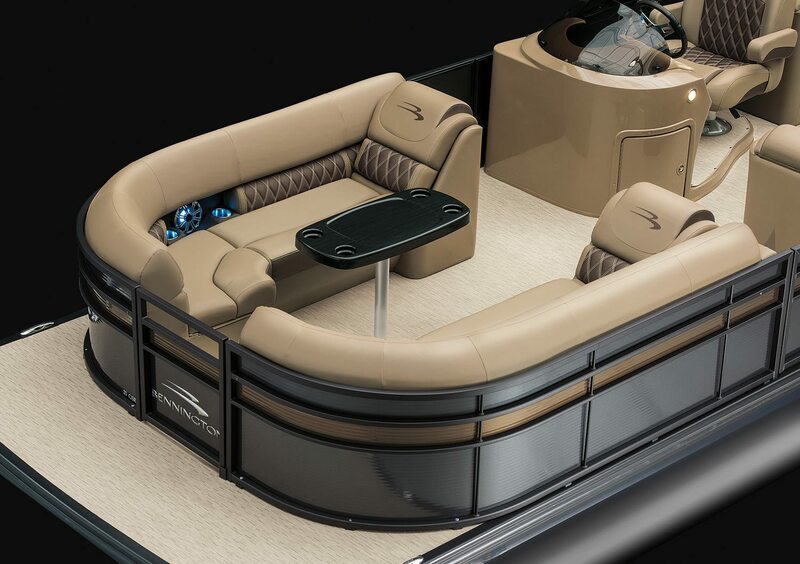 The GSRCFB has large 74" port bench with tons of storage or opt for GSRFB with matching recliners. 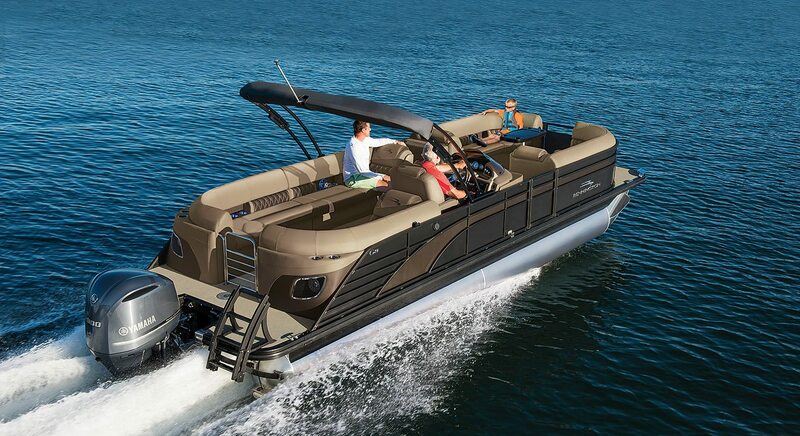 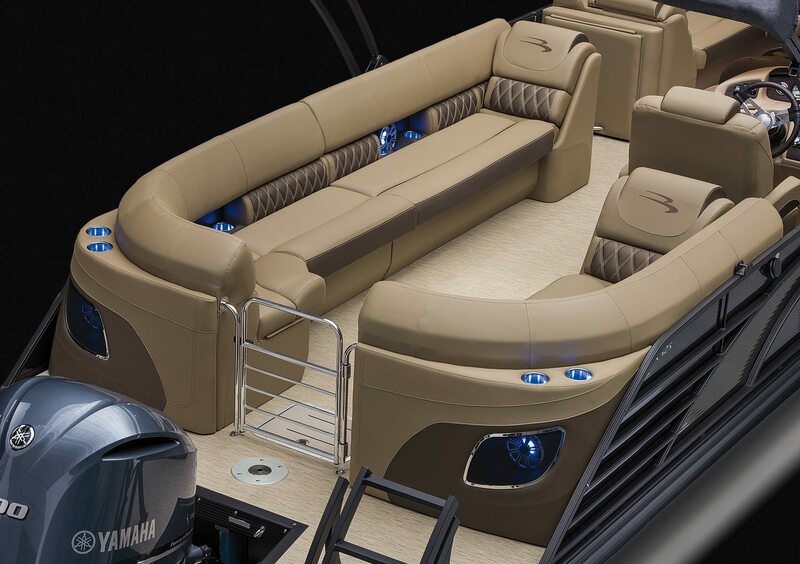 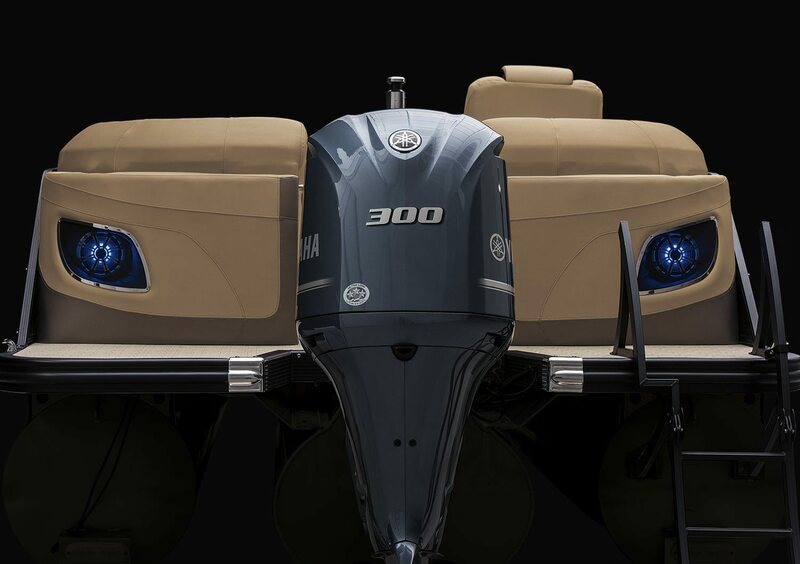 Rear facing speakers extends the entertainment into the water, perfect for hanging out at the sandbar, swinging, or watersports. 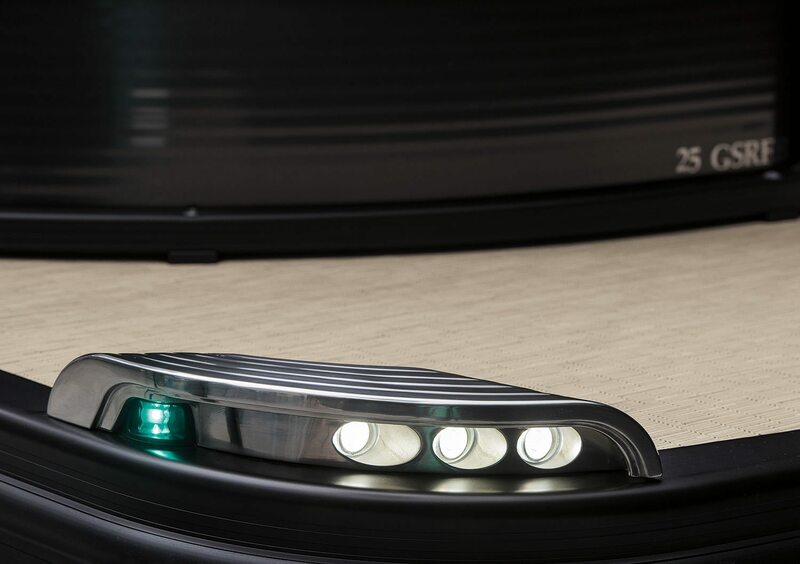 Pillow-Top upholstered in Tuscan Dune Simtex accented by Diamond stitched Espresso Diamante. 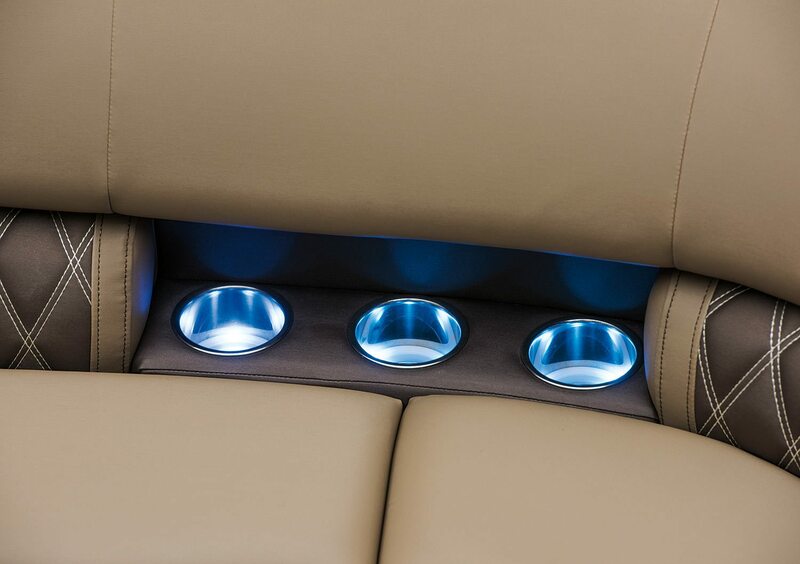 The 25 GSRCFB 17 cup holders in all the right places. 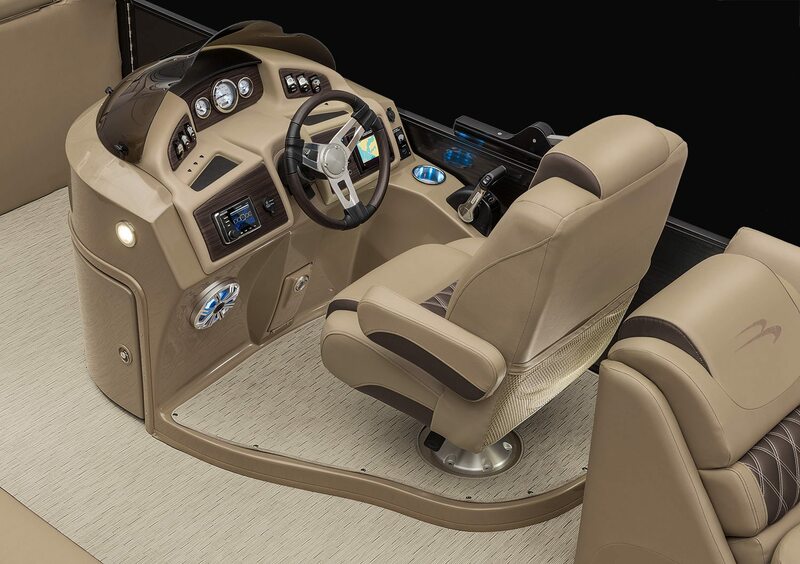 Upgraded elevated helm shown with optional deluxe stainless steel steering wheel. 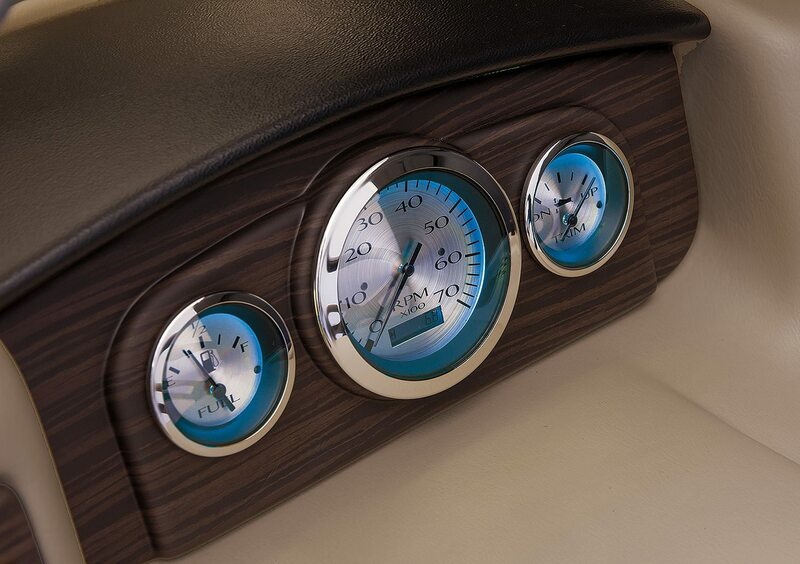 Gauges are trimmed in our all-new Zebrawood Beige accent with Zebrawood Slate and Espresso Teak also available. 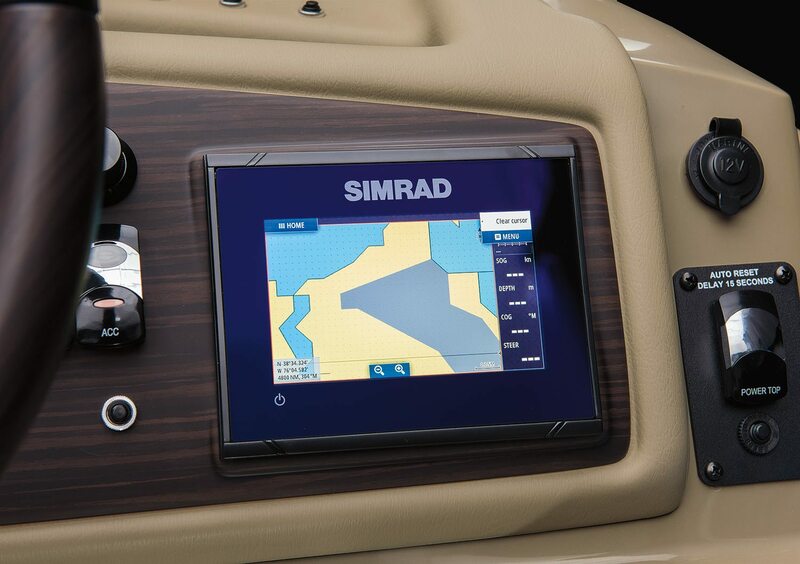 Optional Simrad touchscreen fish/depth finder with GPS shown. 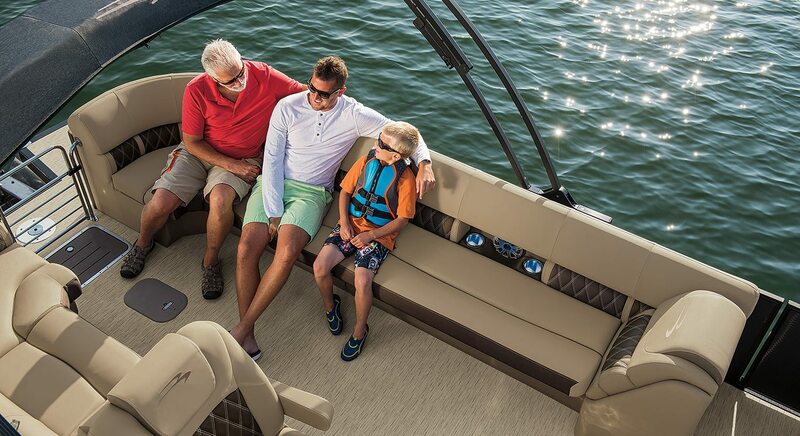 The upgraded Kicker KMC10 has Bluetooth connectivity and adds a touchscreen. 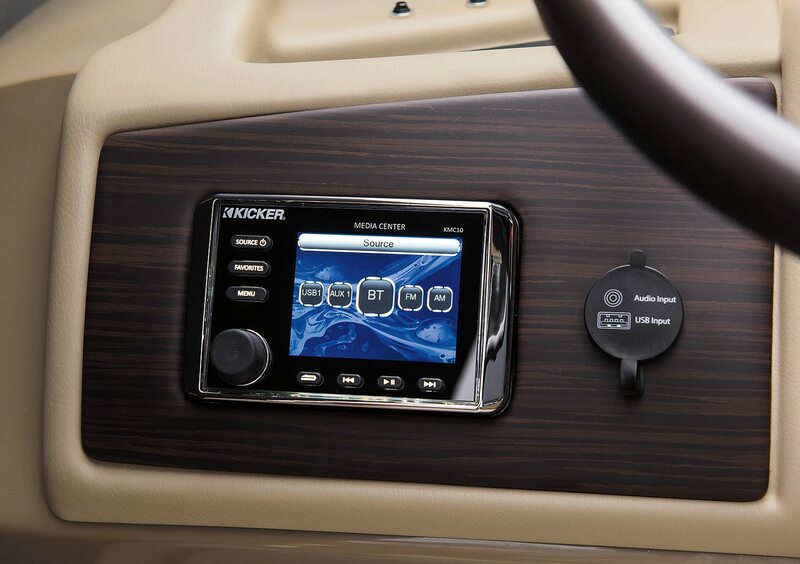 To the right our standard dash mounted USB and auxiliary audio jacks. 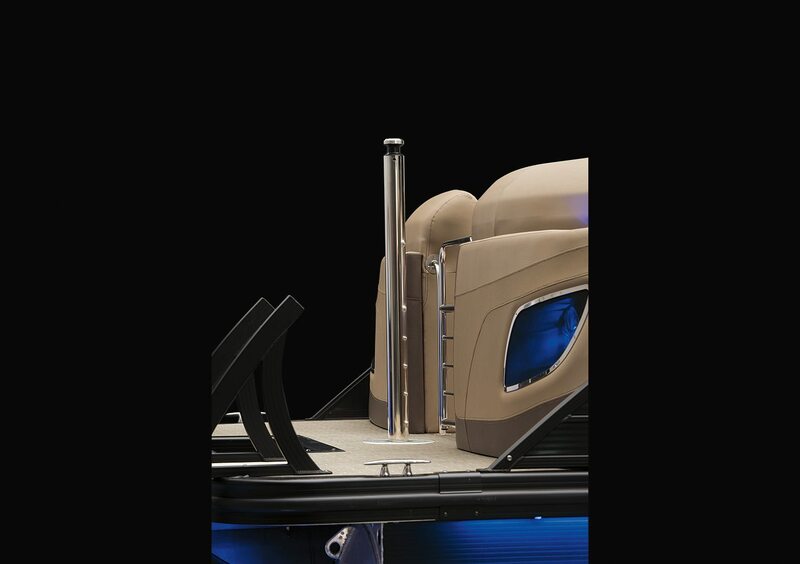 Upgraded stainless steeling docking are shown. 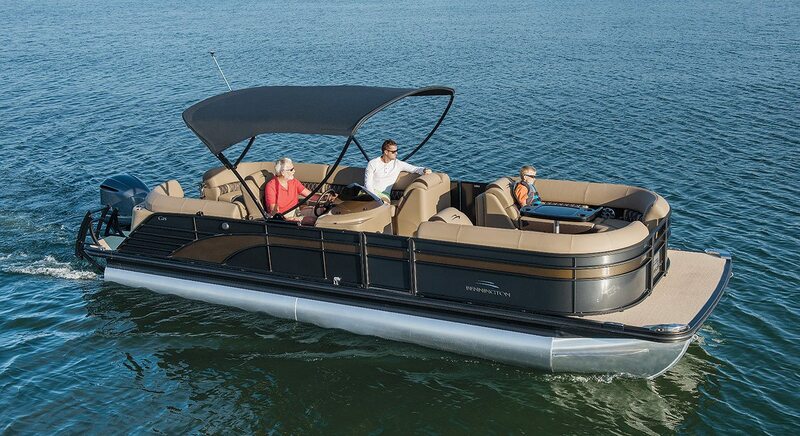 The optional removable ski pylon stows away when not in use.